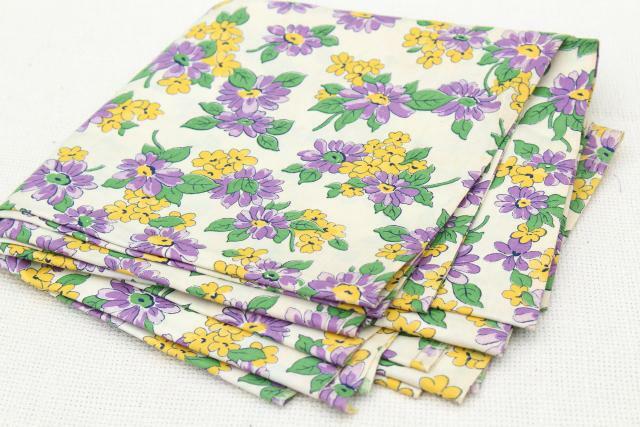 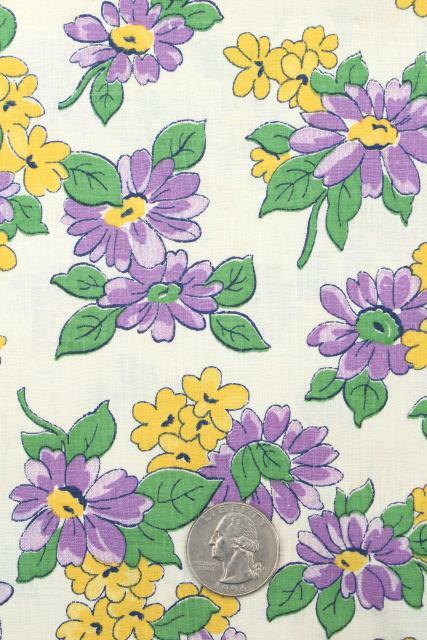 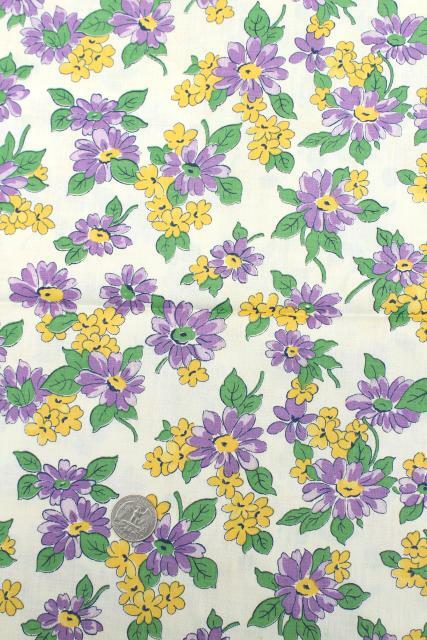 1940s vintage cotton fabric with pretty retro floral print in lavender purple and butter yellow. 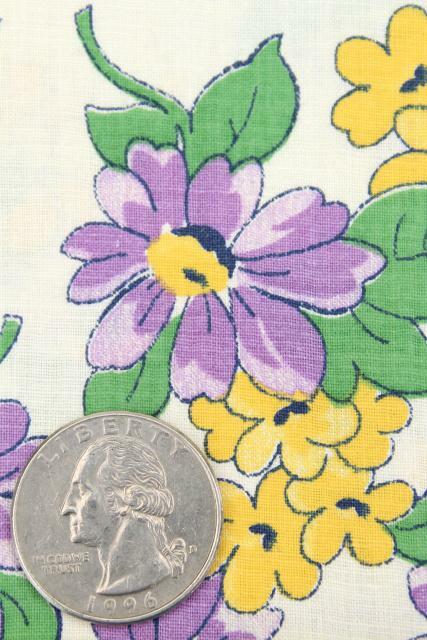 This is 36" wide x 3 1/2" yards. 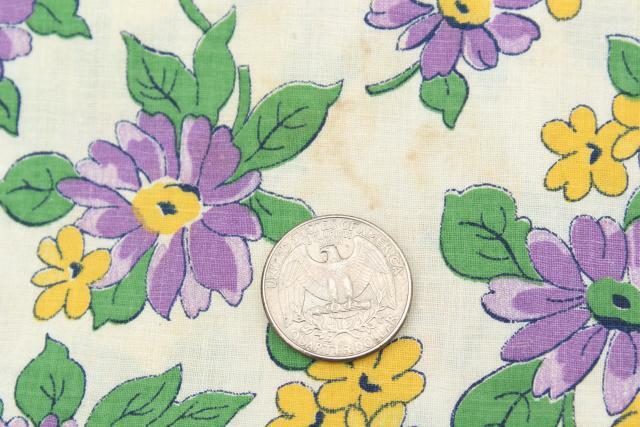 It has a few spots and discoloration or staining along the fold lines - we haven't washed or soaked in since it's never been laundered.